Celebrate Christmas in July with the 1st Annual 5K Dash and Splash Run/Walk on Saturday, July 15, 2017. Our fun yet challenging 5K will take place at Happiness Is Camping, a free residential camp for children with cancer and their siblings. Bring your entire family to enjoy a great run, a post-race BBQ and pool party with live music and a special guest appearance by Santa Claus! Come in your running attire and bring your bathing suit and towel to beat the heat after your race. Registered race participants will receive a wristband for free BBQ and admission to the HIC pool. Wristbands for non-racing family members can be purchased for $10.00/each. Race parking at Blair Academy (2 Park Street, Blairstown) with free shuttles to/from Camp. Shuttles will run from 8:15 - 9:15AM and 11:00 - 2:00PM. THERE IS NO RACE PARKING AT CAMP. Runners and walkers welcome! No pets please. All proceeds benefit Happiness Is Camping. 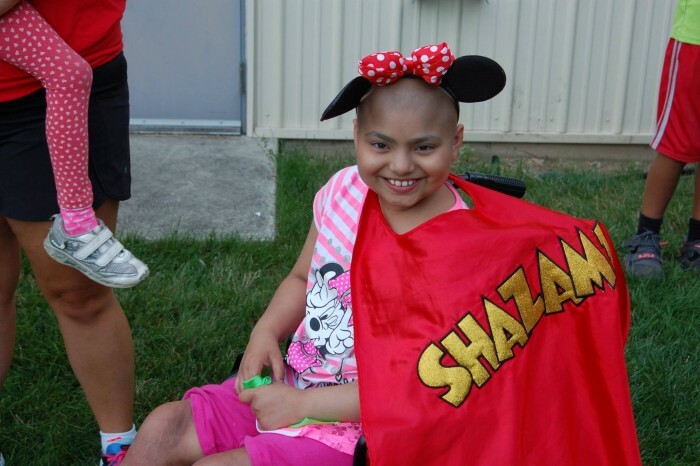 Your registration supports children battling cancer. Thank you!